This is inform all members of the Nortonchain Community that the NORTONTOKEN ICO is currently live and all interested members can now purchase NRT Token from our official ICO website (app.nortonchain.io) or through our Third-Party (nortonchain.icoyard.io). 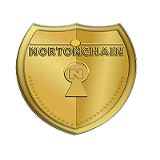 Thank you for joining the Nortontoken Sale. We have some great news: Nortontoken (NRT) presale is now open for the next 2 days with 40% Bonus for Every Purchase with $0.02/NRT, Minimum Purchase $200!